If your favorite Russian candies could speak they’d tell you a very interesting story. Russians have always treated sweets with reverence: they eat candies with morning coffee, lunch tea, and even when having a midnight meal. Visit any Russian store and you’ll see a lot of zefir, pastille, caramel, marmalade and especially chocolate candies. There are confectionery plants in most regions that make different kinds of sweets. The tradition of mass confectionary production only began here in the late 19th century. Before this, Russians enjoyed desserts such as smokva and pastille, dried berries and cooked jam. But everything changed when Russians met chocolate. Initially, it was a hot drink that became popular at Catherine the Great’s court, and then cafés and street kiosks started to open in the imperial capital, St. Petersburg, and in other cities. The chocolate drink was rather affordable and many locals liked it. With the invention of a way to transform cacao beans to solid butter mass, chocolate factories began to open all over the world, including Russia. Before the 1917 Revolution, there were 170 confectionery makers in St. Petersburg, over 200 in Moscow and a total of 600 across the country. It was the Silver Age for Russian candies, and in this era were invented recipes of sweets still produced today. Confectionary makers strove for the honor to have the title, “Supplier of His Imperial Majesty’s court," which could be taken away if the quality of the product fell. This pushed companies to compete and produce the best possible candies. 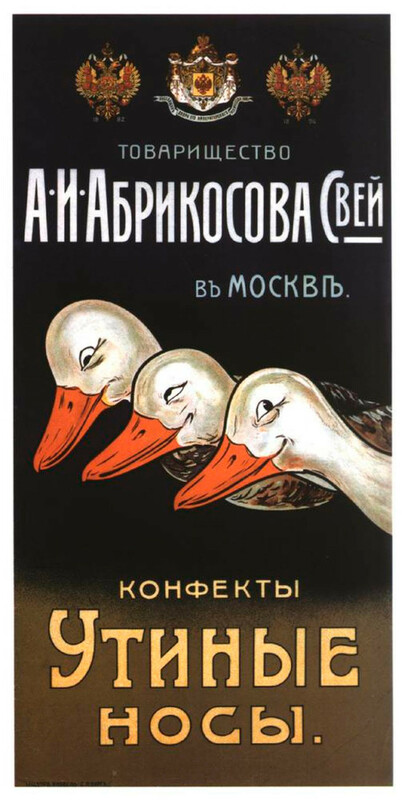 Some says that Abrikosov’s candies and caramel were the tastiest, especially Rakovyye Sheyki (lobster necks), Gusinyye Lapki (goose feet), and Utinyye Nosiki (duck beaks). The neck is the tastiest part of the lobster, and the goose fat was apparently used in the production of the candies. “Goose Feet” and “Lobster Necks” can be found in any store even today. 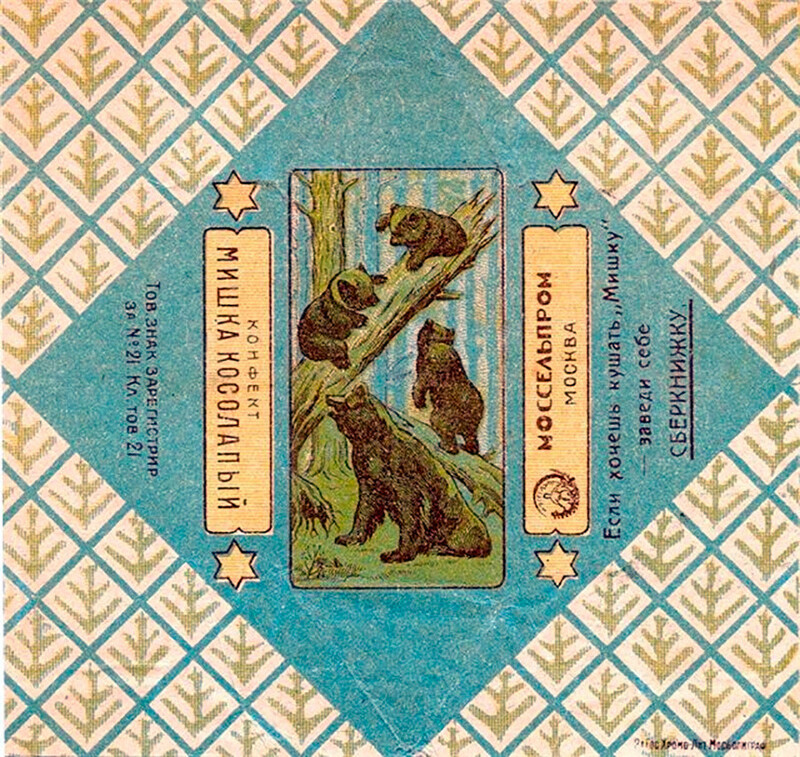 Abrikosov was serious in promoting his sweets, and so he hired professional artists to create wrapper designs. His candies were decorated in the Art Nouveau style with floral and animal motifs, like this “zoological” chocolate. 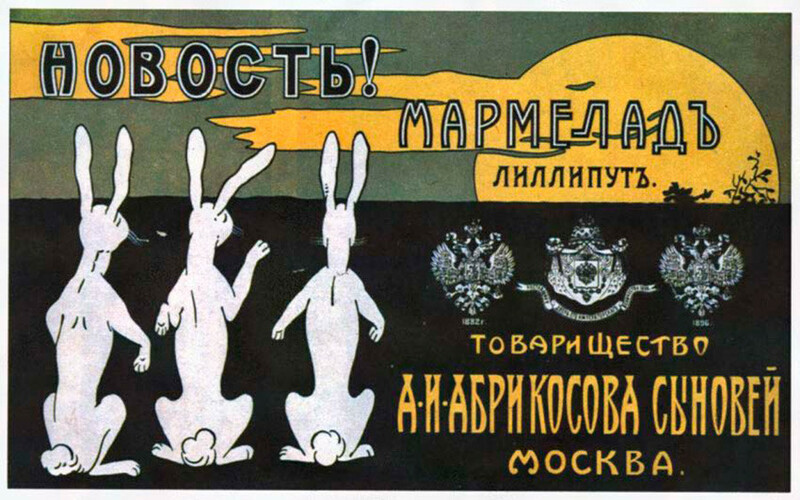 To advertise the Lilliput marmalade an image of white hares was used. 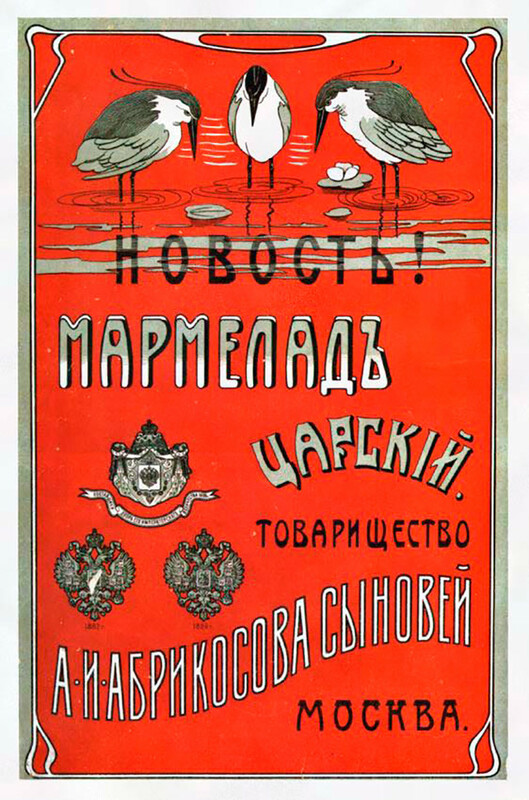 On the Tsarsky marmalade’s wrapper you’ll see three herons standing knee-deep in water. But the businessman tried to attract customers not only with ads! Once in the newspaper a rumor appeared that he hired only blondes to work in one store and brunettes in the other. The result - many curious people came to check and they ended up buying candies! The wrapper of the 1920s. Another leading confectionary, Einem, invented probably the most famous Russian chocolate candy (you should definitely try it!). The Mishka Kosolapy (Clumsy Bear) candies were launched in 1913, and it was the most expensive candy of its time, as well as the most sought after gift for any child. The praline filling placed into the two waffle sheets was covered with dark chocolate. The candy is easy to recognize: there is a well-known picture of “Morning in a Pine Forest” by painter Ivan Shishkin on its wrapper, which was designed by artist Emmanuil Andreyev. He drew many candy wrappers in that time, as did Alexander Benois and Ivan Bilibin. The wrapper of the 1910s. The story of the “Try to take away” praline candies dates to 1913. The image of a mischievous boy holding a stick was taken from a porcelain statue found in one of Einem’s offices. 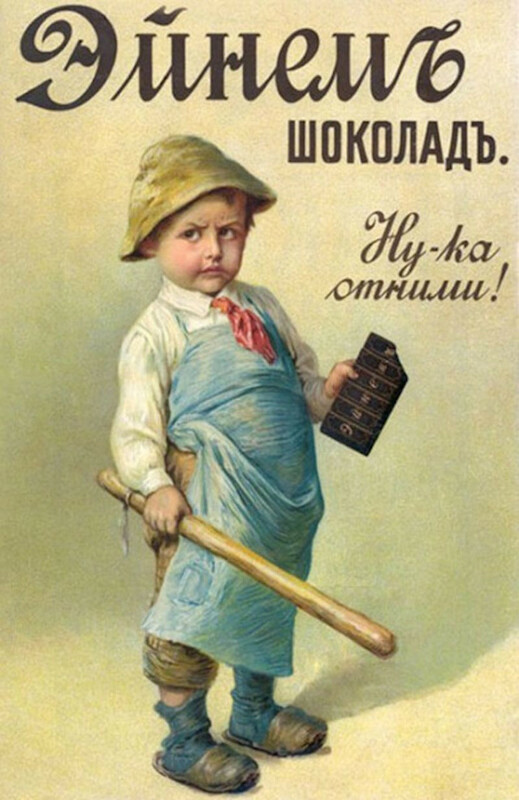 Designers put a bitten chocolate bar in the boy’s hands, and added the title: “Try to take it away.” In Soviet times, the boy on the wrapper was replaced by a girl. Mass production of sweets was set up across the country. Take, for example, the city of Saratov in central Russia, where was located the famous Miller brothers factory. They produced not only bars and candies but also montpensier, jellies, pastilla and marshmallows of high quality. Today there is a textile factory on that spot. 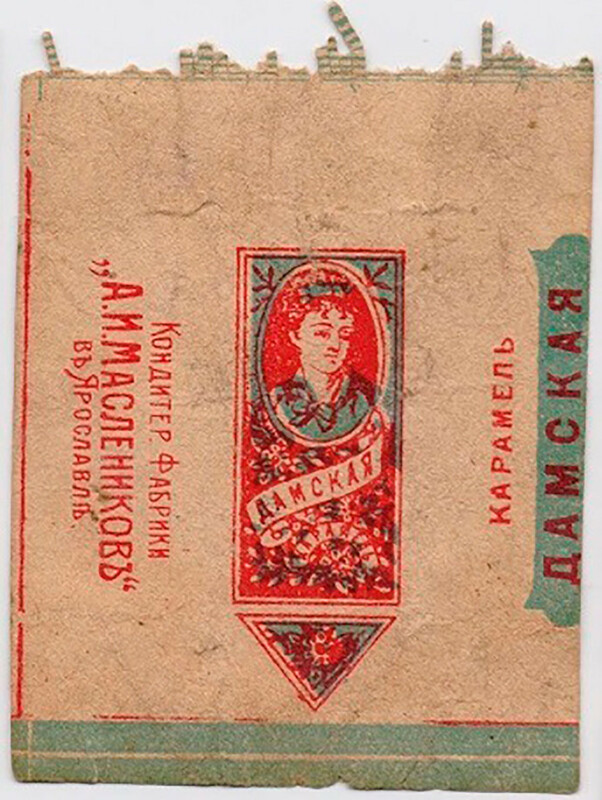 Damskaya caramel by Yaroslavl confectionery plant, the 1900s. After the 1917 Revolution, major enterprises were nationalized and renamed. 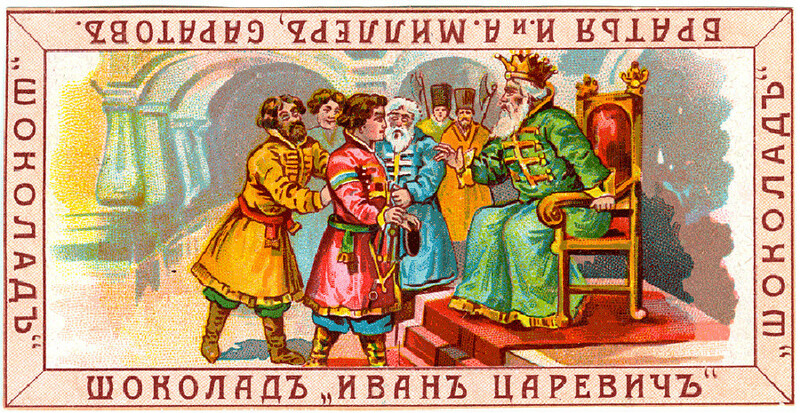 Einem became Krasny Oktyabr (Red October); Sioux – Bolshevik; Abrikosov – Babaevsky; and Lenov – Rot Front. During the first years of Soviet power, new confectionary factories even mentioned their previous names on their wrappers. 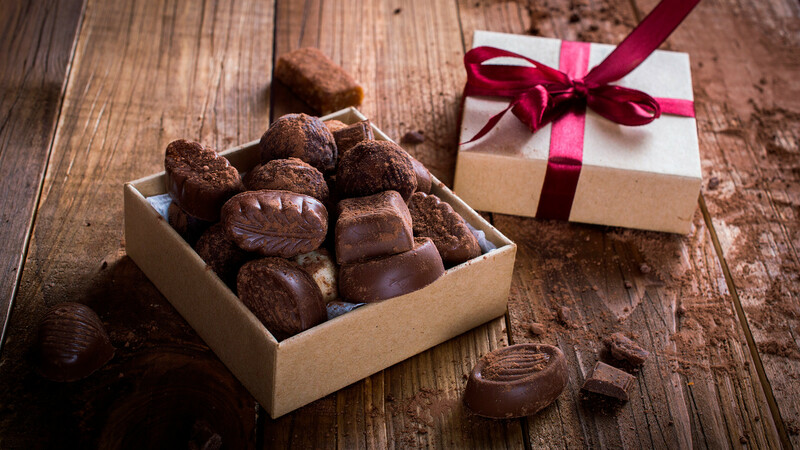 Anyway, thanks to collaboration with some African republics, Soviet factories had no shortage of cacao beans and produced high-quality candies. But that is another story.